I have one plant in my office that I have managed to keep alive for 5 years but mostly I keep organisms in my office that can’t be killed because they are already dead. I’m a bit more extreme in my lab where I keep thousands of samples of DNA in freezers. In my office I am surrounded by a number of fossils (not my colleagues:-) that I either collected myself, purchased or were given to me over the years. I’m taking you a short tour of most of these fossils. 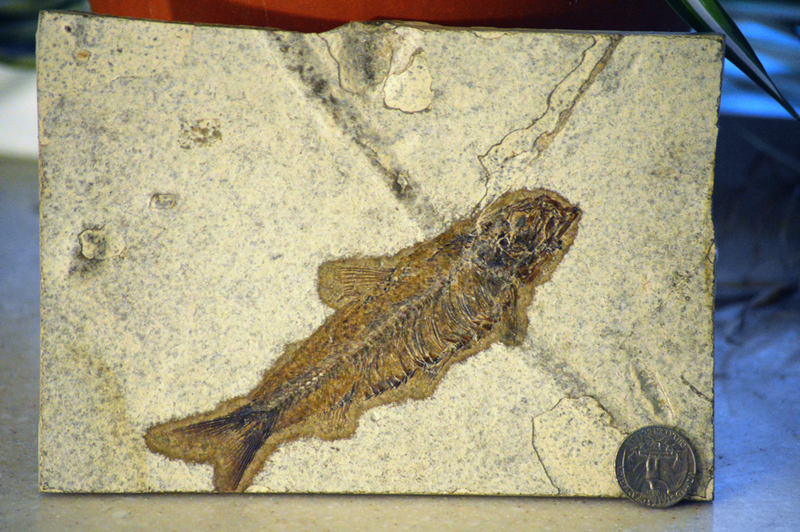 This fossil fish which sits on my window sill is from the Green River Formation in Utah. 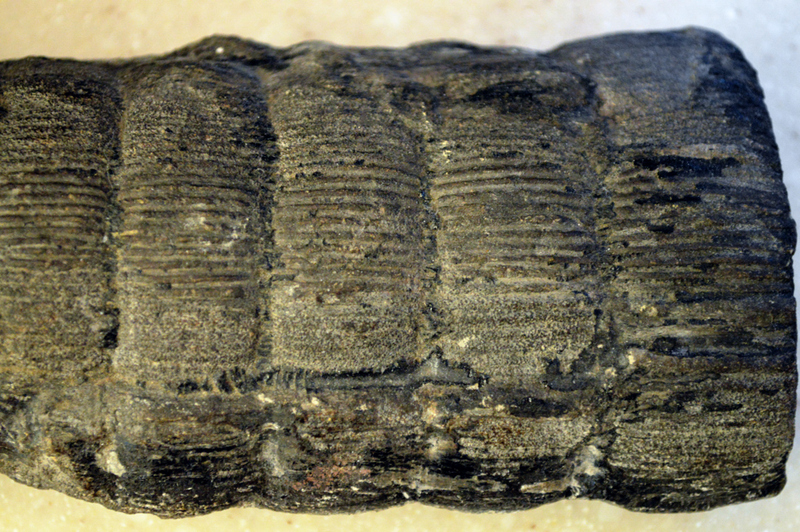 Fossil fish are extremely abundant in some layers of this formation with this genus, Knightia, being the most common. I bought this one for $25 about 15 years ago. It really isn’t worth that much money but I wanted to have something from this famous fossil bed. These fish fossils are often presented by young earth creationists as evidence of a global flood because must have been quickly buried since they are so well-preserved. But what is not often revealed to the YEC audience is that most creation scientists consider the Green River Formation including these fossil fish are not the result of a global flood but are a post-noahic flood local catastrophe. Ironically the amazing preservation of these fossils shows that periodic local events can preserve specimens just fine and thus an appear to a global flood is not necessary. 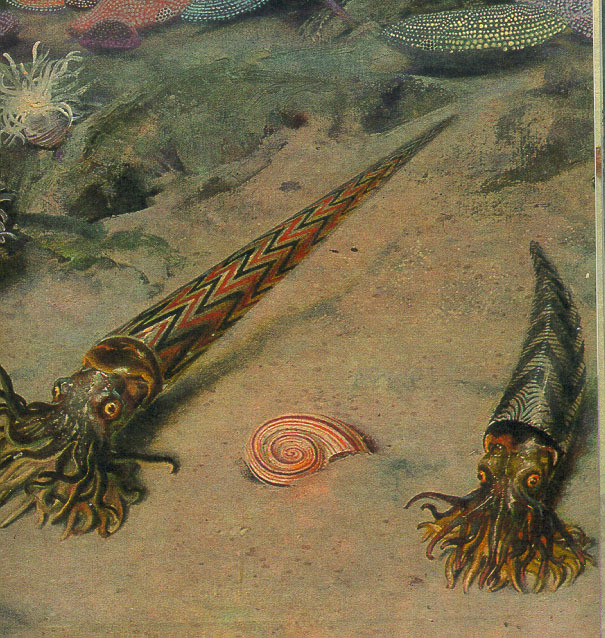 Orthoceras is an extinct group of nautiloid cephalopods with linear shells. They were highly abundant in all oceans of the Devonian and up into the lower Ordovician time periods. after that they went extinct but they left billions of shells in fine sediments that have turned into a form of marble. 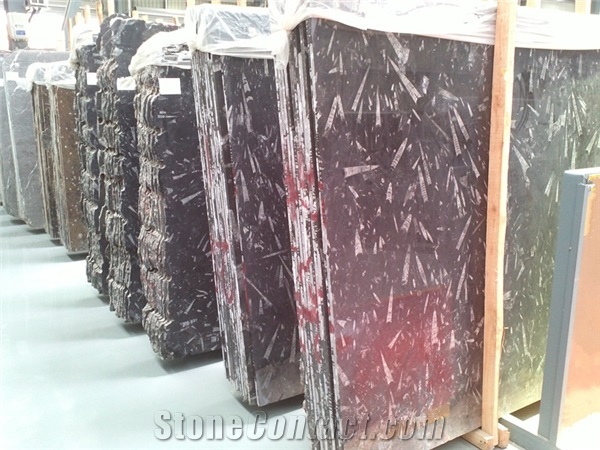 Below are sheets of that marble from Morocco where you can see how abundant these fossils can be. In the case of my fossil above, someone has carved the marble such that they have highlighted a few large Orthoceras fossils. You can see the inner chambers very clearly. These fossils are a testimony to a period of time when all the earth’s oceans were filled with creatures such as this but none exist today. They were replaced with a number of other crustaceans. Calamites drawing showing the features of this extinct plant. Calamites was a large seed-bearing tree-like plant that is similar to today’s Equisetum (scouring rush). Massive forests dominated by thee plants once filled the earth. 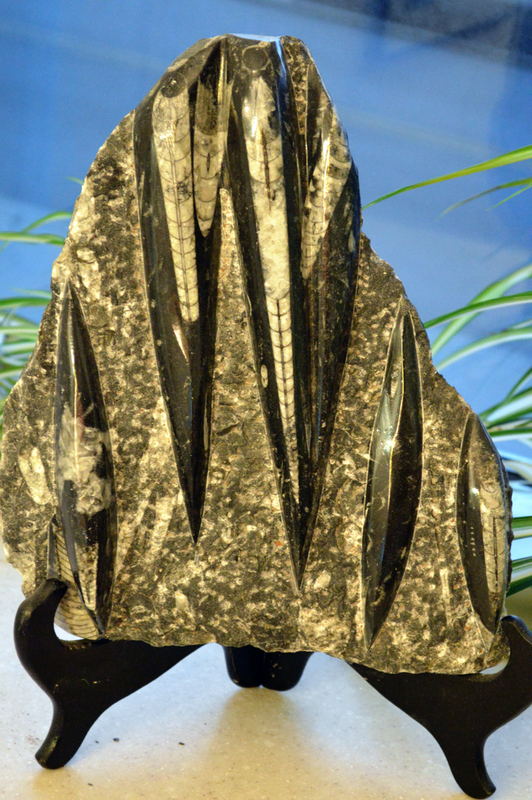 Their fossils are extremely abundant in deposits of the Carboniferous Period which is were much of our coal comes from. 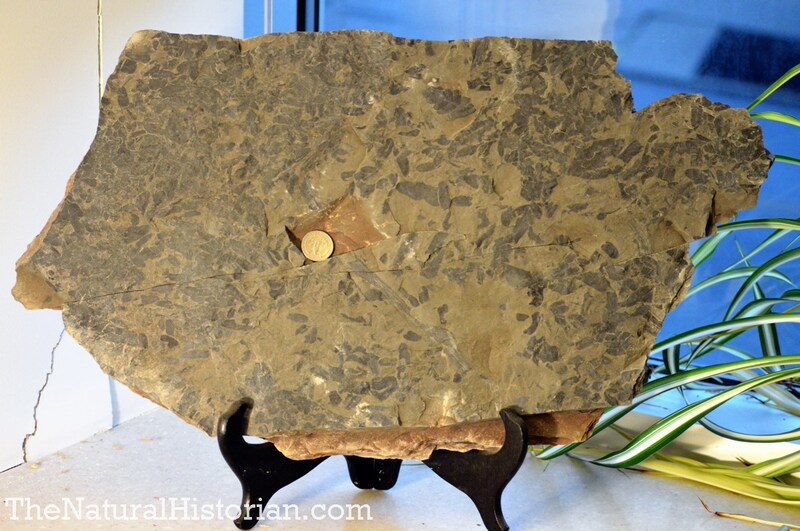 This fossil was found in rock just above a coal seam in West Virginia. To the right is a drawing of a Calmites tree. Above are the stems but I also have remains of the leaves in my office as well (below). These tree once covered vast areas of the earth but are now extinct. Their remains likely make up billions of tons of coal. 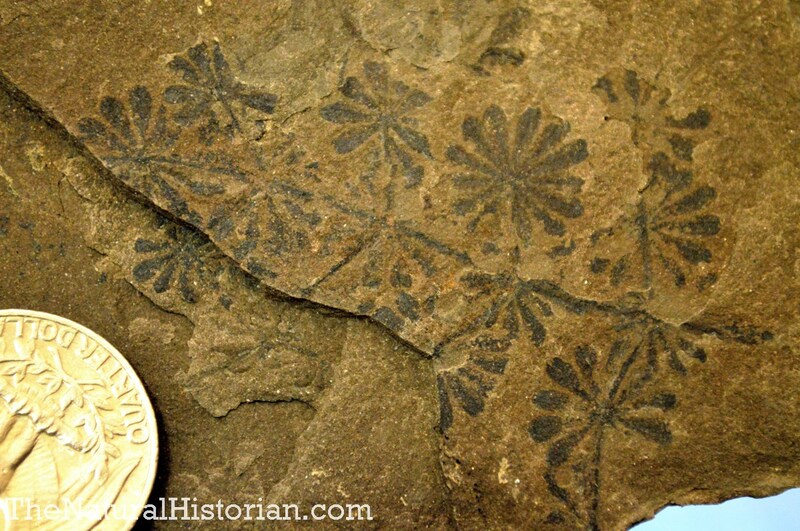 Annularia/Calamites leaf fossils up close. Fossil is from coal beds in West Virginia. Tree fern leaves from coal beds in West Virginia. 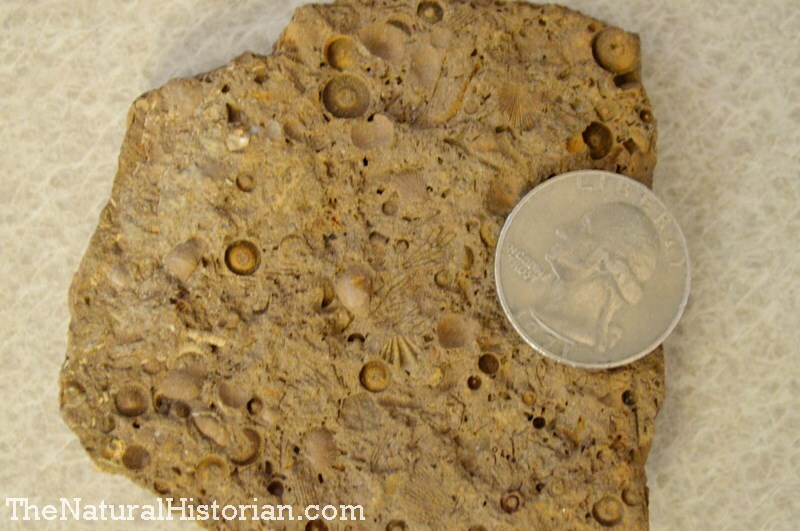 Shells and crinoids stems in a piece of Ordovician period limestone from Kentucky, just across the Ohio River from Cincinnati. I have collected along road cuts leading up from the Ohio River in Kentucky many times. There are hundreds of feet of layers of limestone rock there that look like this. They are just full of shallow ocean shells and crinoids. I have written about these vast layers of fossils in the past (Covered in Shells: How Many Fossils Are there?). 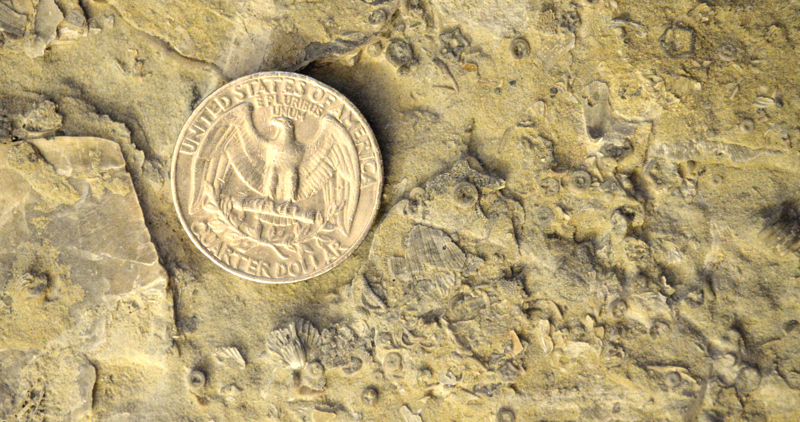 Close-up of Ordovician Period limestone just south of Cincinnati in Kentucky overlooking the Ohio River. Ordovician Period limestone from Kentucky. 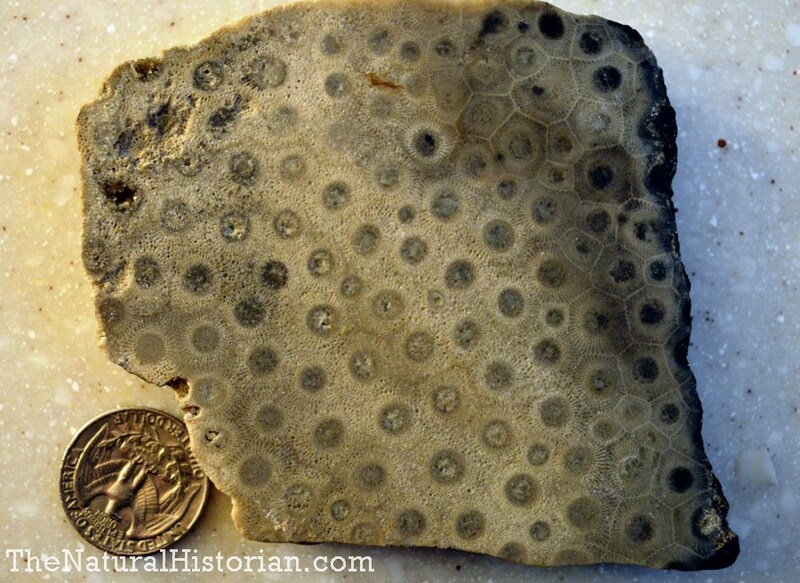 A fossil coral cross section. This is from Michigan but I don’t know where. Coral can make beautiful fossils. Some parts of this coral are preserved in incredible detail. 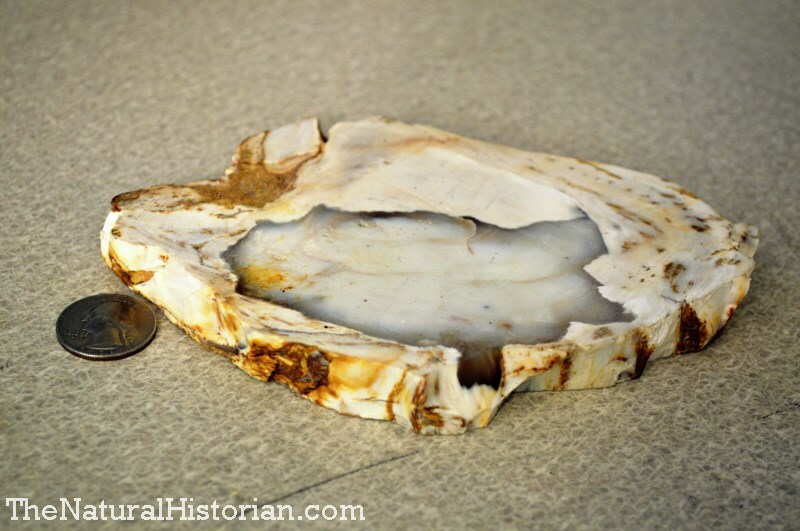 Sliced section of Eocene aged petrified wood from Colorado. A high school student gave this to me as a gift for allowing him to use my lab to perform a science fair project. Scoll down those below that comment and you will see that I already responded a couple of times to that. QAG also has a post today responding. Sorry, just seen your comment to Wile – I’m reacting, as seems appropriate, as I read through the lengthy comments in case I forget if I leave that till later (I have tried to comment to Wile as well about something else and will probably comment at Questioning Answers in Genesis too). I’m adopting this way of working because the comments at the Wile blog are fairly heavy going – and I’m trying not to lose concentration by taking short breaks and then returning to where I left off. Without you descriptions, I would have come up with “fossil dunce squid” and “fossil micropasta” for a couple of those. I guess it’s just as well that I became a biochemist. You do good work Joel – I enjoy it.